As the beginning of the year approaches, we all know what takes up so much of our time as high school counselors... SCHEDULE CHANGES. How many different ways can you say it? Don't you wish you could filter some of these schedule change requests before they get to you? Just point to a sign and say READ THIS FIRST?! 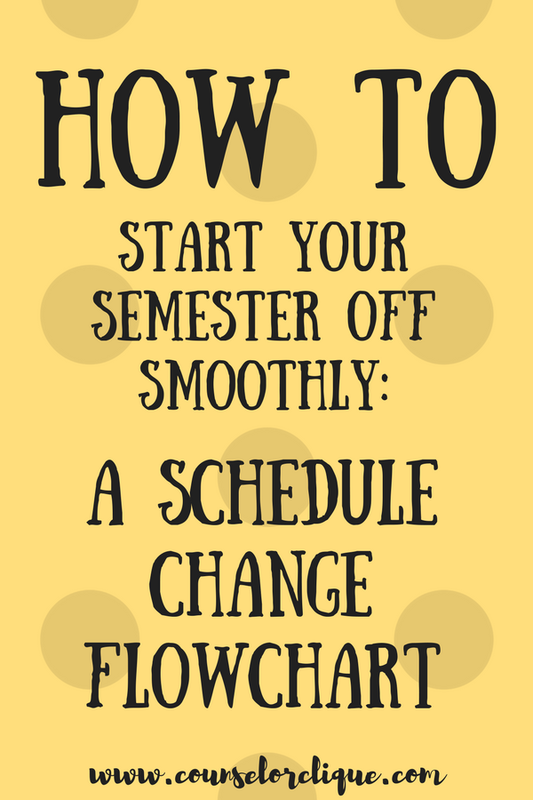 Check out my newest product on TpT: the Schedule Change Request Flowchart. Print it out in color, slap it up on your wall, point to it, and smile... because students already know this stuff. Anything you think needs to be added to this flowchart? 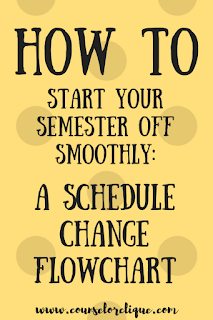 How do you handle schedule changes at your school?